KATHMANDU, Aug 4: In an unprecedented development in the history of Nepal’s judiciary, a nominee for chief justice of the Supreme Court was rejected by parliament on Friday. 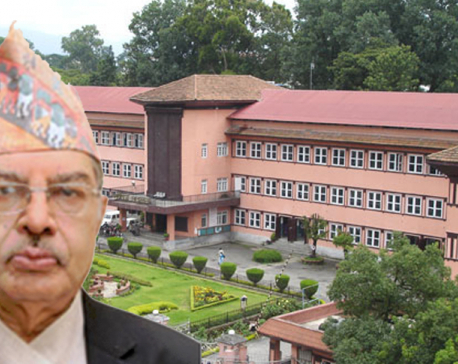 Ending a week-long stalemate over the fate of his nomination, the Parliamentary Hearings Committee (PHC) rejected Deepak Raj Joshee’s nomination by the Constitutional Council to the helm of the judiciary. In doing so, the PHC cited a lack of vision on Joshee’s part and also some controversial decisions he made during his tenures as judge and justice. 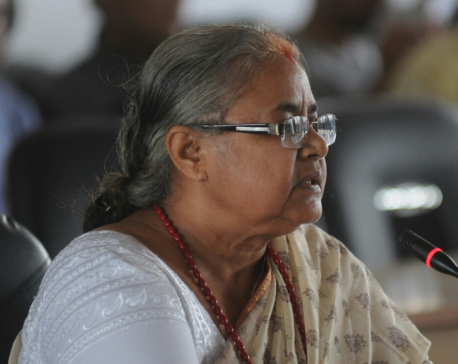 Members of the PHC from the main opposition Nepali Congress (NC) boycotted the committee meeting after ruling party members insisted on rejecting Joshee’s nomination. The NC lawmakers said they boycotted the meeting after the ruling parties pushed for the rejection without producing adequate reasoning. Joshee has been acting chief justice for the last six months. Following the boycott by opposition members, the PHC rejected Joshee’s nomination by a two-thirds majority vote. The nine members of Nepal Communist Party (NCP) and a member of ruling coalition partner Federal Socialist Forum Nepal voted against. According to Secretary of the PHC Dhruba Ghimire, this is the first time that a nominee has been rejected by the hearings committee in the 13-year history of parliamentary hearings. “Altogether 10 votes were cast against the nomination in the 15-member committee. As the joint regulations of parliament mention that a two-third majority of the hearings committee can reject any nomination this committee has rejected the nomination of Deepak Raj Joshee accordingly,” PHC Ad-hoc Chairperson Laxman Lal Karna told media after the meeting. According to the PHC secretariat, a letter will be sent to the Constitutional Council informing it about the fate of its nomination. The CC had unanimously recommended Joshee for chief justice in June. Prime Minister and NCP chair KP Oli, main opposition NC President Sher Bahadur Deuba, Speaker Krishna Bahadur Mahara and Chairman of the National Assembly Ganesh Timalsina are among the members of the council. In a five-point statement to the PHC submitted by NCP member Yogesh Bhattarai, the ruling NCP members have said Joshee failed to show any vision for leading the judiciary, he did not furnish satisfactory answers to questions raised by lawmakers during the hearings, and he also failed to clarify matters concerning his academic certificates, among other things. The ruling party has also stated that given a written objection about Joshee’s verdict and his conduct and an insufficient record of his contribution to the judiciary, the party was not persuaded to appoint him to the post of chief justice. The left parties were against Joshee during his appointment as justice at the apex court back in 2014. Then also the hearings committee had to put the matter to a vote after members of the then CPN-UML and the Maoists along with two other fringe parties stood against his nomination. As these two parties were in a minority in the committee, Joshee was easily endorsed. The two parties had also voted against former chief justice Gopal Parajuli during his appointment as justice. The practice of conducting parliamentary hearings for nominees to the Supreme Court and for heads and office bearers of constitutional bodies and ambassadors was introduced by the interim constitution in 2007. The new constitution promulgated in 2015 has given continuity to the system but downsized the committee to 15 members from 72 in the past. The first hearings after the introduction of the system endorsed Bhojraj Pokhrel as Chief Election Commissioner. The first CJ to be endorsed through hearings was Kedar Prasad Giri in 2007.